The two directors -Nick Moxham & Linda Irish - set up the company in 2006. 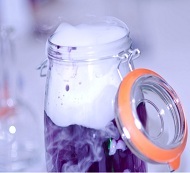 Since then, we have undertaken over 4,500 birthday parties, attended numerous schools fairs, carnivals and family events. We also put on our own fun days attracting up to 500 children. 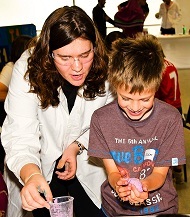 We have 8-11 staff, mainly University student staff who are interested in pursuing a career working with children. The first drive of your child's life! 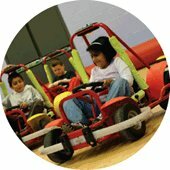 Give your child's party extra momentum with Go Kiddy Karts. We'll organise the party, providing a well-structured, fully supervised indoor electric go-karting experience for your child and their friends. And to make things easier for you we offer a complete package, including optional party bags and catering, free birthday invitations, certificate for every child, engraved medal for the birthday child or children and an exclusive login area for you as a customer where you can keep track of your party. BodyZorbing is riotous energetic fun for children and adults alike! BodyZorbs are large inflatable balls that you slide into, so they fit above your knees and over your head. You can then crash and bump into other BodyZorb players. 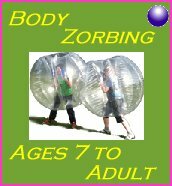 BodyZorbing allows you to run, walk, jump, flip, back roll and bounce into other bodyzorbs. As your legs are outside the Zorb you are free to move and do what your legs want to. Just put the BodyZorb over your head and arms through the harness and you can safely BodyZorb. 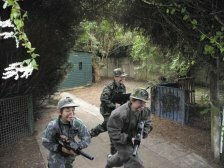 Battlefield Live Manchester is an exhilarating outdoor laser adventure game that is played using wireless electronic guns that fire infra-red beams, so there is no pain, paint or impact. We use realistic guns with red dot scopes. We are just like Call of Duty but for real! We operate within a large wooded area at Parrs wood High School. 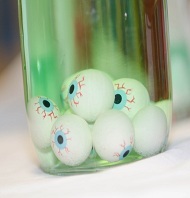 The game is suitable for adults and children aged seven and over. The game is awesome fun and great to play in teams or on your own. Site design and graphics, Copyright Redmox Leisure, 2006-2015. All rights reserved.